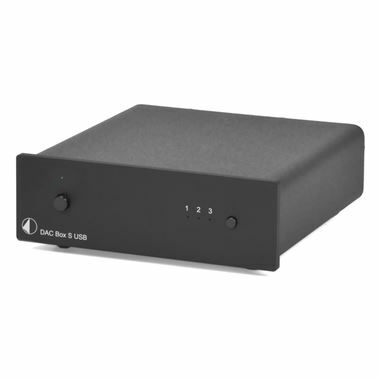 The DAC Box S USB is a high-quality Digital-Analogue Converter with three switchable inputs, allowing for multiple digital musical sources to be converted in a more convenient and better sounding way. By over-sampling the input signal, this small device produces a thorough and fluid sound performance. The 'S' version of the DAC Box USB uses the same technology as its predecessor and has the same footprint. The only differences are in the thicker, more stylish front-plate, and the smaller power supply that helps the unit comply with new 1Watt Standby regulations outlined by the European Court.